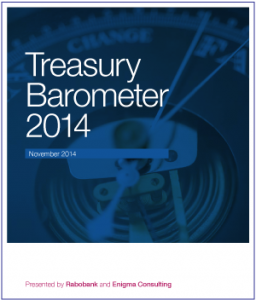 The report, based on the survey held in mid-2014, presents the key results of the first Treasury Barometer. A total number of 74 Dutch corporates have participated in this year's Treasury Barometer. “Treasurers underestimate the impact of Basel III'. This is one of the conclusions of the Treasury Barometer survey. In addition, the treasurers indicate 'They can barely keep up with the excessive number of regulations”.